Here are links to some of my favorite things! *Hope you enjoy them as much as I do! Llamas in letter form! A few minutes of entertainment. I have wasted hours here! So many things! Specifically the art prints by Marko Manev. 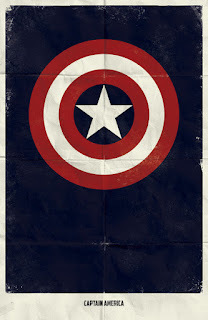 I seriously want the Captain America art print. It's awesome. Entertaining articles for nerdy girls like me! *Note: No one asked me to promote their stuff. I just truly enjoy it!